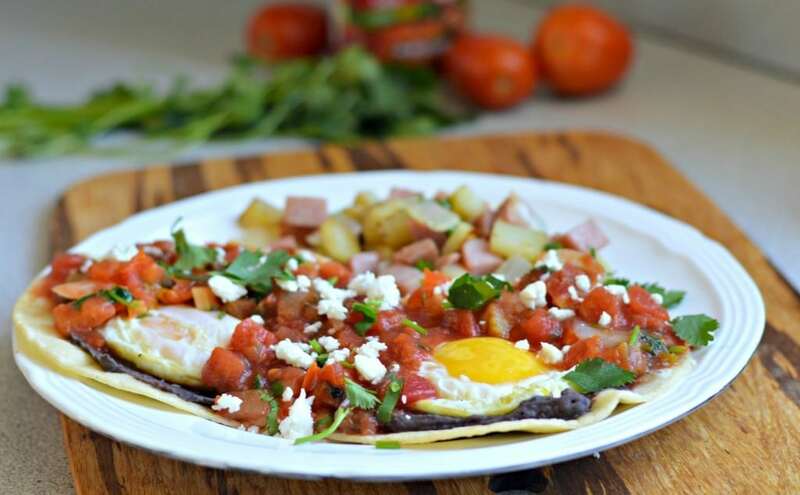 Inside: Huevos Rancheros may be simple, but the flavors are complex and delicious. This is about as authentic of a Mexican breakfast recipe as you will find. My favorite meal of the day is definitely breakfast. That probably is the result of growing up in Mexico where breakfast is the largest, most important meal of the day. There are many different Mexican breakfast recipes, so people rarely get bored. 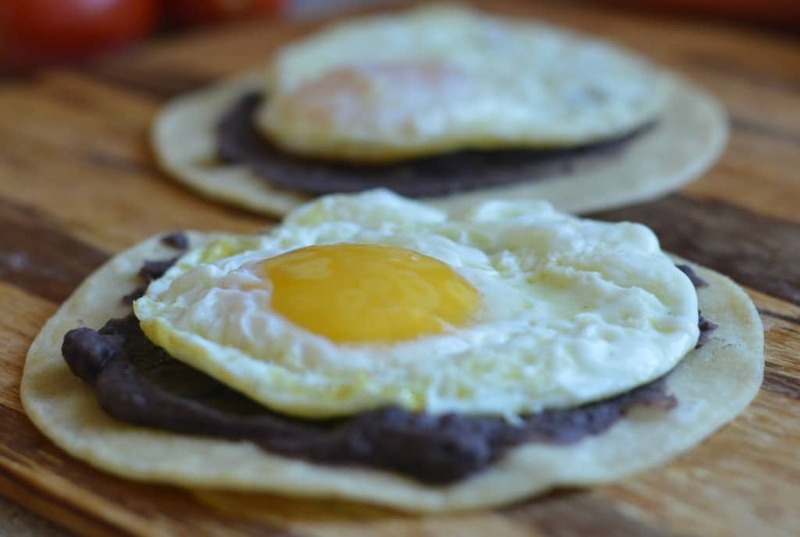 Today I am going to share one of the best breakfast recipes in Mexico – huevos rancheros. 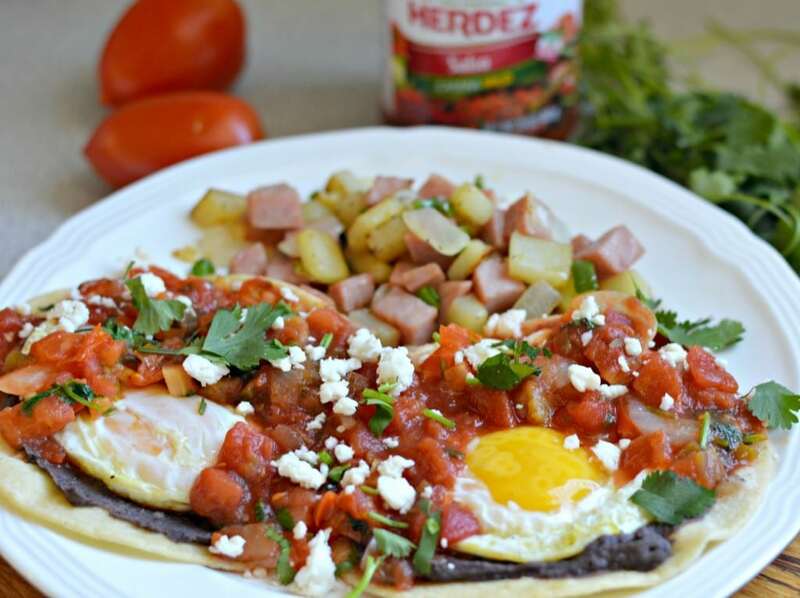 Huevos Rancheros is a classic Mexican breakfast that everyone should try at least once. I say at least once, but I am sure that you will try it many more times after you make it the first time. This classic breakfast recipe is delicious and easy to make. I always used to help my mom and my abuelita make these when I was a little girl, and they made a regular appearance on our table for breakfast. So now I bet you are wondering how we make this famous Mexican breakfast, right? The basic recipe consists of some simple ingredients – eggs, fresh vegetables, tortillas, beans, and cheese. This is a very filling, and hearty breakfast option that will help you start the day with a good amount of protein. 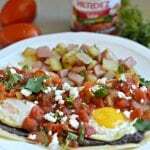 The great thing about huevos rancheros is that you can always modify it to meet your needs and cravings. It is a very versatile dish, and one that I recommend you try making as soon as possible! One way I like to make huevos rancheros even better is by sauteing some potatoes, onions, and big pieces of ham. That is exactly how I like to make them! How Do You Make Huevos Rancheros? Just like my mom and abuelita taught me to make this recipe, I also have enjoyed teaching it to my kids. It is great for kids who want to learn to cook, because there are very few steps. Step 1: To start, you will want to saute the potatoes, onions, and pieces of ham in a little bit of olive oil, seasoning with salt and pepper to taste. Step 2: Next, lightly fry a tortilla and heat up the refried beans. Once that is done, spread a thin layer of the beans over the tortilla. 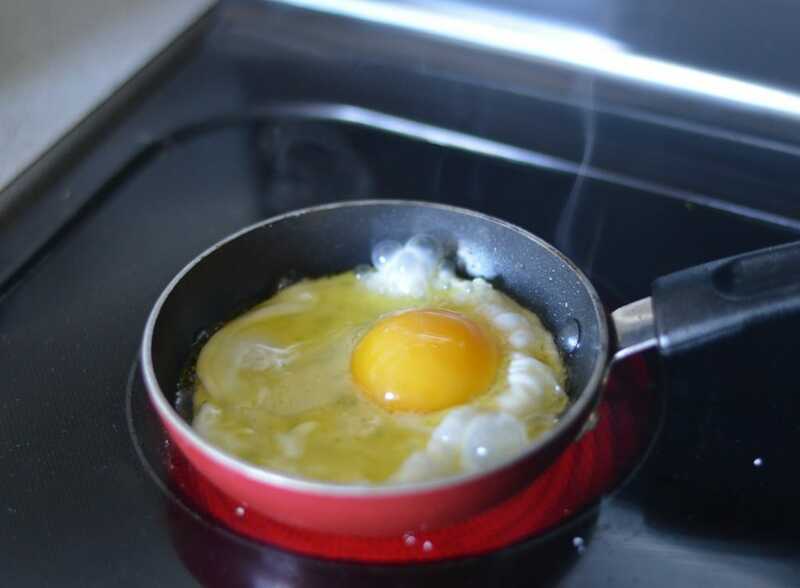 Step 3: When that is done, fry the egg to your preference. I usually do not like runny eggs, but with Huevos Rancheros I often make it like this. Obviously, you can cook the yolk through if that is what you (or your kids) prefer. Step 4: After the egg is done, put it on top of the tortilla and beans before topping with delicious salsa and queso fresco. I prefer to make this with my own salsa roja or salsa verde recipe, but you can also use store-bought if you are pressed for time. 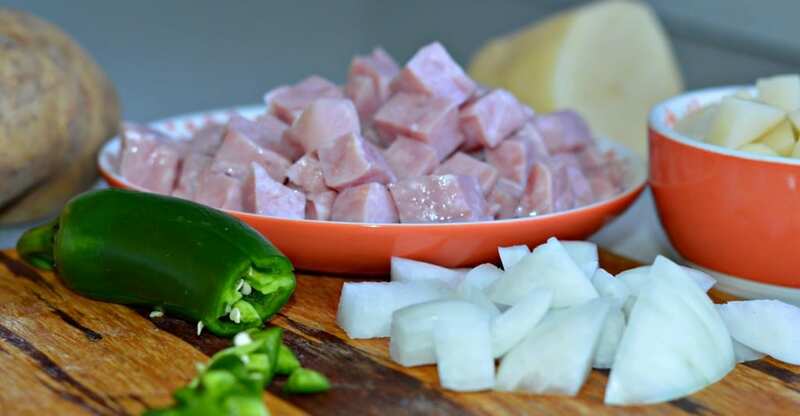 Step 5: Finish off the dish by serving with the potato, onion, and ham mix – all of the flavors, when combined make for an unforgettable breakfast! I hope you enjoy these huevos rancheros. Let me know in the comments below how it turned out. 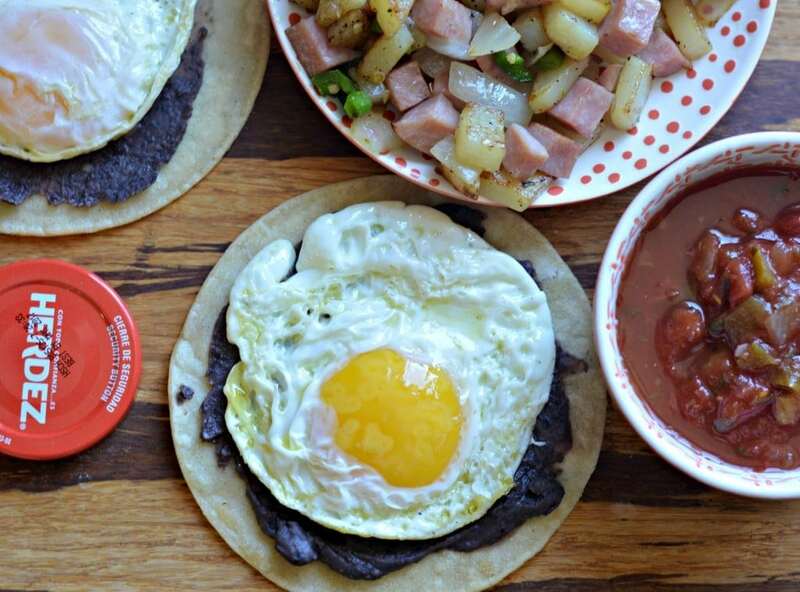 Check out these other delicious Mexican breakfast options. This Huevos Rancheros recipe is as authentic as it gets, and is the recipe I learned growing up in Mexico. Keep reading to find out how to make it. Salsa - homemade or store bought. Queso Fresco and Cilantro to garnish. 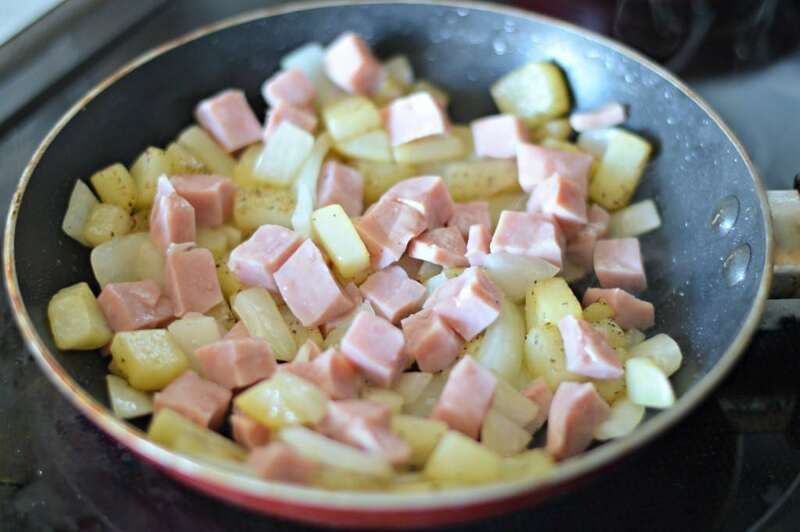 Saute the potatoes, onion, and ham in a small amount of olive oil and season with salt and pepper to taste. Set aside. 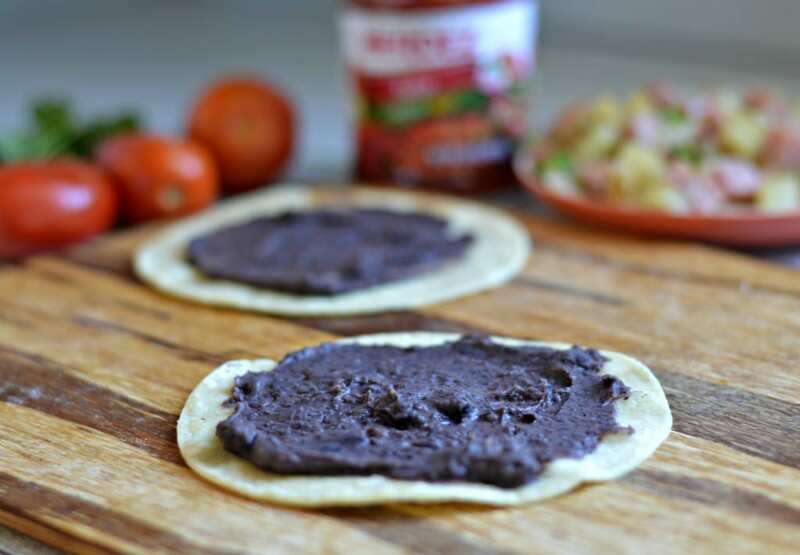 Warm up the refried beans, and spread onto the tortillas. Fry an egg to your preferred level of doneness, and put on top of the tortilla and beans. Top with salsa, queso fresco, and fresh cilantro. Serve with the potato, onion, and ham mix. This recipe looks absolutely delicious. Thank you for sharing and encouraging the practice of cooking with kids. Really need to do this more with my guys! Oh my, I am drooling over this recipe! Wishing I had the ingredients on hand! Wow! My Family would LOVE this!! Gotta try it. Sounds terrific. but it would sure be nice if you would move the Pinterest, Twitter, Facebook, and whatever Y is in another area. It’s hard to read the recipe. I’ve been dying to try huevos rancheros. I have an intense obsession with these ever since I tried them over the weekend.